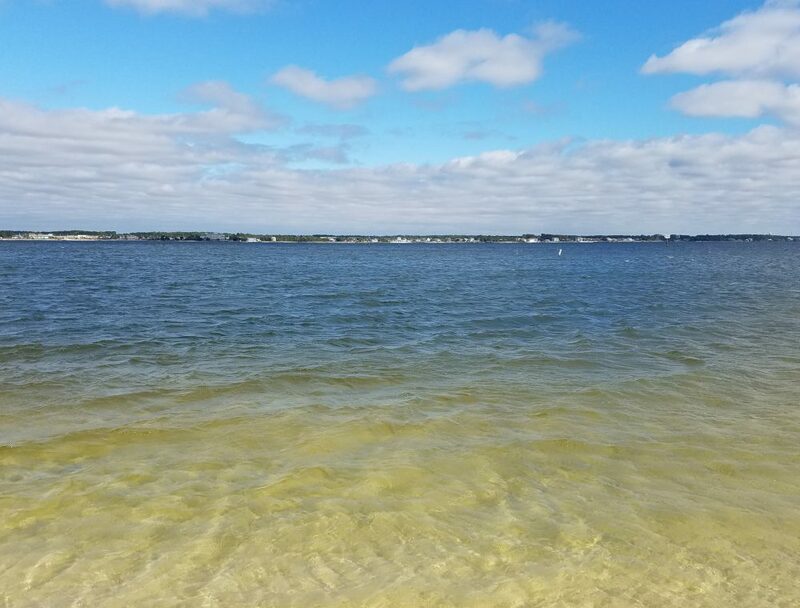 We have been posting articles discussing some of the issues our estuaries are facing; this post will focus on one of the things you can do to help reduce the problem – a Florida Friendly Yard. Florida Friendly Landscaping saves money and reduces our impact on the estuarine environment. 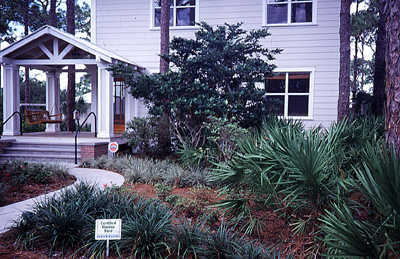 The University of Florida IFAS developed the Florida Friendly Landscaping Program. It was developed to be included in the Florida Yards & Neighborhoods (FYN) program, HomeOwner and FYN Builder and Developer programs, and the Florida-Friendly Best Management Practices for Protection of Water Resources by the Green Industries (GI-BMP) Program in 2008. Right Plant, Right Place – We recommend that you use native plants in the right location whenever possible. Native plants require little fertilizer, water, or pesticides to maintain them. This not only reduces the chance of these chemicals entering our waterways but also saves you money. The first step in this process is to have your soil tested at your local extension office. Once your soil chemistry is known, extension agents can do a better job recommending native plants for you. Water Efficiently – Many homeowners in the Florida panhandle have irrigation systems on timers. This makes sense from a management point of view but can lead to unnecessary runoff and higher water bills. We have all seen sprinkler systems operating during rain events – watering at that time certainly is not needed. FFY recommends you water only when your plants show signs of wilting, water during the cooler times of day to reduce evaporation of your resource, and check system for leaks periodically. Again, this helps our estuaries and saves you money. Fertilize Appropriately – No doubt, plants need fertilizer. Water, sunlight, and carbon dioxide produce the needed energy for plants to grow, but it does not provide all of the nutrients needed to create new cells – fertilizers provide needed those nutrients. However, plants – like all creatures – can only consume so much before the remainder is waste. This is the case with fertilizers. Fertilizer that is not taken up by the plant will wash away and eventually end up in a local waterway where it can contribute to eutrophication, hypoxia, and possible fish kills. Apply fertilizers according to UF/IFAS recommendations. Never fertilize before a heavy rain. Mulch – In a natural setting, leaf litter remains on the forest floor. The environment and microbes, recycling needed nutrients within the system, break down these leaves. They also reduce the evaporation of needed moisture in the soil. FFY recommends a 2-3” layer of mulch in your landscape. Attract Wildlife – Native plants provide habitat for a variety of local wildlife. Birds, butterflies, and other creatures benefit from a Florida Friendly Yard. Choose plants with fruits and berries to attract birds and pollinators. This not only helps maintain their populations but you will find enjoyment watching them in your yard. Manage Yard Pests Responsibly – This is a toughie. Once you have invested in your yard, you do not want insect, or fungal, pests to consume it. There is a program called the Integrated Pest Management Program (IPM) that is recommended to help protect your lawn. The flow of the program basically begins with the least toxic form of pest management and moves down the line. Hopefully, there will not be a need for strong toxic chemicals. Your local county extension office can assist you with implementing an IPM program. Recycle – Return valuable nutrients to the soil and reduce waste that can enter our waterways by composting your turfgrass clippings, raked leaves, and pruned plants. Reduce Stormwater Runoff – ‘All drains lead to the sea’ – this line from Finding Nemo is, for the most part, true. Any water leaving your property will most likely end in a local waterway, and eventually the estuary. Rain barrels can be connected to rain gutters to collect rainwater. This water can be used for irrigating your landscape. I know of one family who used it to wash their clothes. Rain barrels must be maintained properly to not produce swarms of mosquitos, and your local extension office can provide you tips on how to do this. More costly and labor intensive, but can actually enhance your yard, are rain gardens. Modifying your landscape so that the rainwater flows into low areas where water tolerant plants grow not only reduces runoff but also provides a chance to grow beautiful plants and enhance some local wildlife. Protect the Waterfront – For those who live on a waterway, a living shoreline is a great way to reduce your impact on poor water quality. Living shorelines reduce erosion, remove pollutants, and enhance fisheries – all good. A living shoreline is basically restoring your shoreline to a natural vegetative state. You can design this so that you still have water access but at the same time help reduce storm water runoff issues. 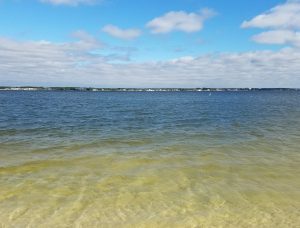 Planting below the mean high tide line will require a permit from the Florida Department of Environmental Protection, since the state owns that land, and it could require a breakwater just offshore to help protect those plants while they are becoming established. If you have questions about what type of living shoreline you need, and how to navigate the permit process, contact your local county extension office. These nine principals of a Florida Friendly Yard, if used, will go a long way in reducing our communities’ impact on the water and soil quality in our local waterways. Read more at http://fyn.ifas.ufl.edu/about.htm.